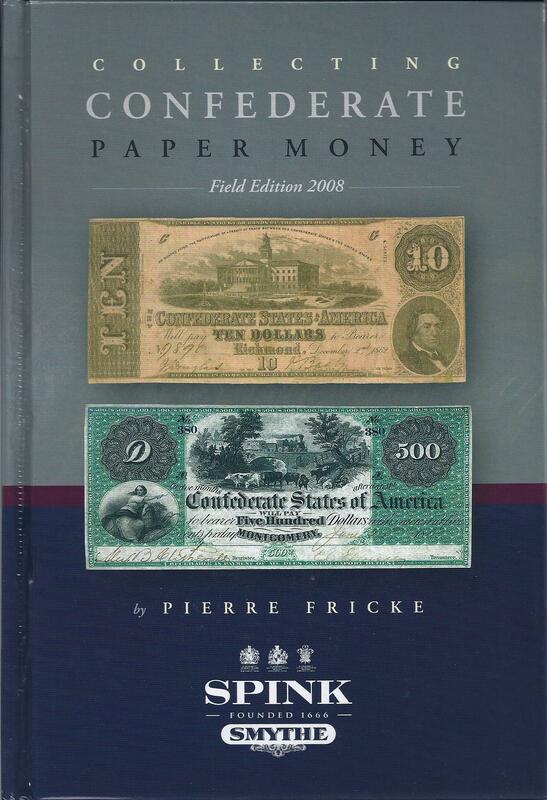 Building on his award winning 2005 CSA paper money book, the 2008 edition is a portable CSA paper money guide. Historical information, scans of notes of each grade and condition, condition census summaries, prices for types, rare varieties, contemporary counterfeits, and bonds made available in an easy-to-carry and use format. Hundreds of color scans of types, varieties and other information. Published by Spink Smythe 2008, 454 pages, full color, 6x9 inches and 2.5 pounds.